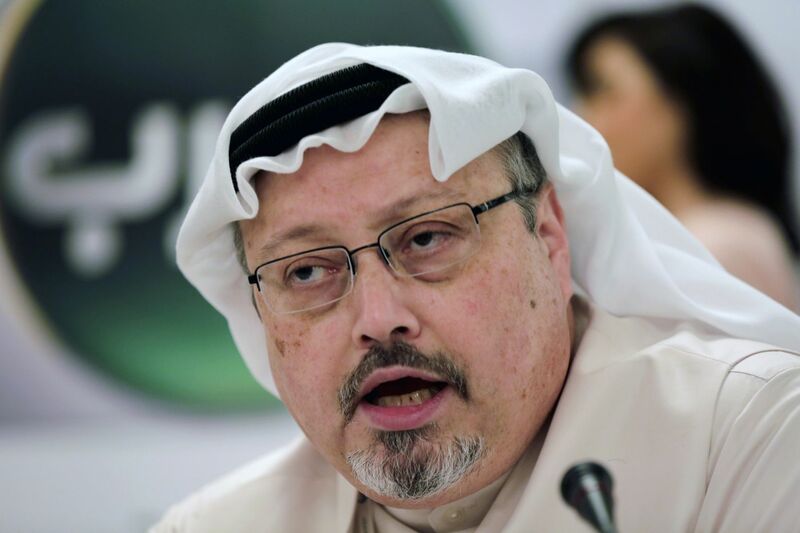 FILE - In this Dec. 15, 2014, file photo, Saudi journalist Jamal Khashoggi speaks during a news conference in Manama, Bahrain. In the letter, obtained by the Associated Press, Pompeo wrote that in multiple meetings with Saudi officials and in numerous public statements, he had “emphasized the importance of a thorough, transparent and timely investigation, including accountability for those responsible for the killing.” Pompeo also noted that the United States sanctioned 17 Saudi individuals for their involvement in the killing, but the letter did not assess whether the crown prince was responsible. Pompeo defended the administration’s response to the death of Khashoggi, who entered the Saudi consulate in Istanbul to get a document he needed for his forthcoming marriage and was never seen again. AP diplomatic writer Matthew Lee in Budapest contributed to this article.